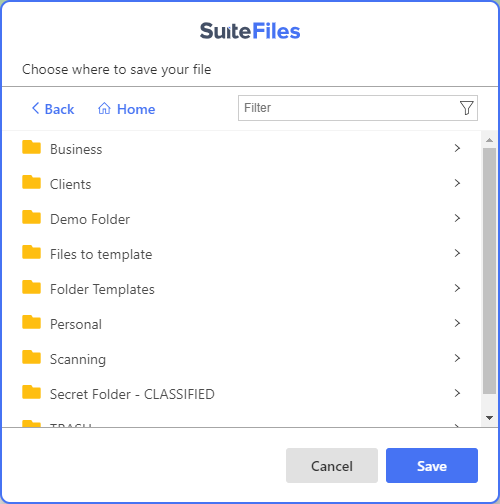 With SuiteFiles and Xero Practice Manager integrated you will be able to access your clients documents from SuiteFiles in the XPM Documents tab. 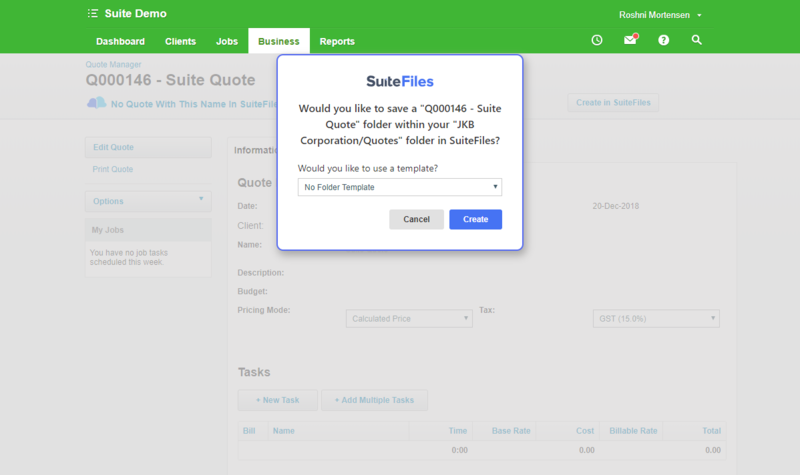 If you have our chrome extension installed, you will be able to have a clients, job, and quotes folder automatically created. 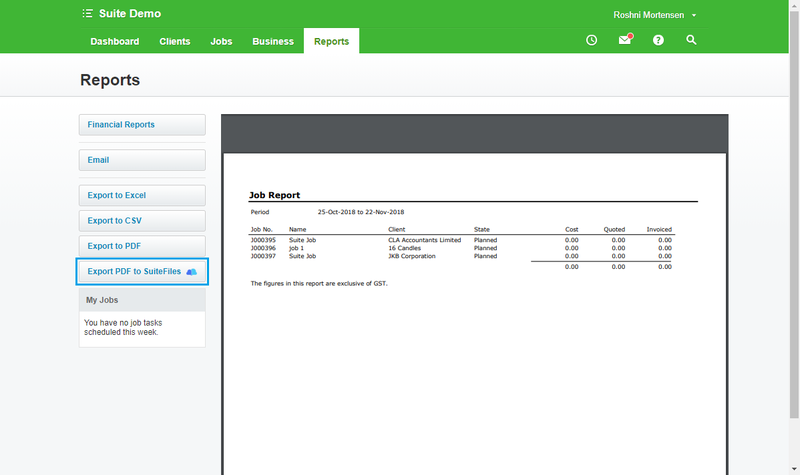 When you’re in the Xero Practice Manager (XPM) and you click on the Documents tab for either a client, a job or a quote the system will interrogate SuiteFiles looking for a client folder with the same name (in the case for a job it looks for a folder structure that is Client Name > Jobs > Job Name; for quotes it is Client Name > Quotes > Quote Name) and then displays the files stored in SuiteFiles in this location. 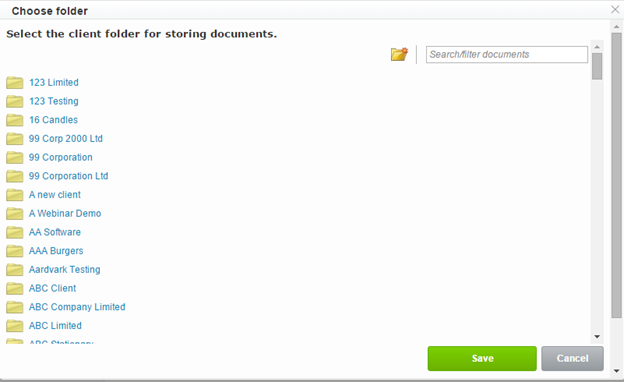 Then selecting the appropriate folder from the list and clicking Save. 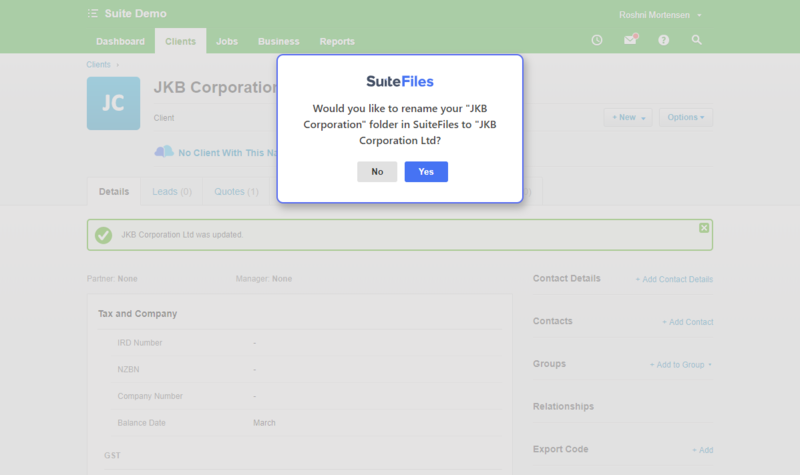 Once you've created a new client in XPM you will get a prompt after a few seconds asking if you would like to create a corresponding folder in SuiteFiles, you also have the ability to use a folder template to do this. 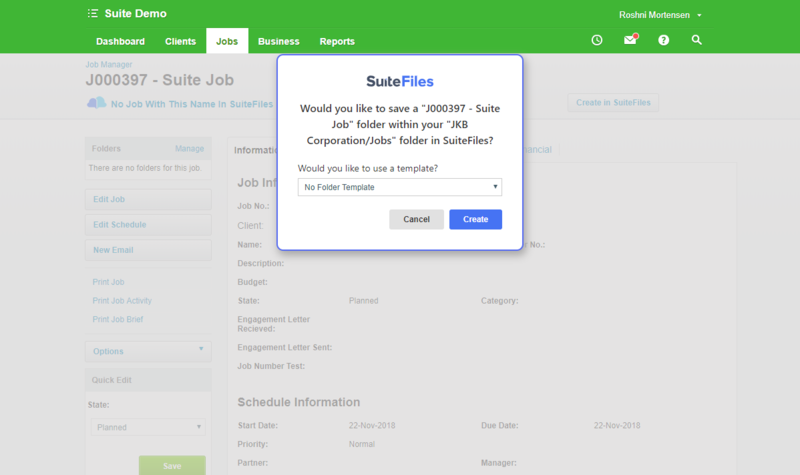 As soon as you hit the save button on a new job you will be asked if you want a folder created under Client/Jobs for this in SuiteFiles. 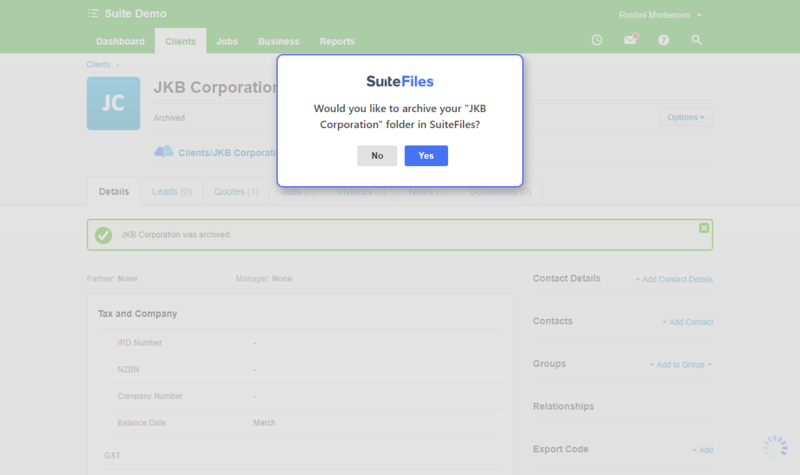 When you archive a client in XPM you will be asked if you'd like to also archive the client in SuiteFiles. This will also work when unarchiving the client in XPM. 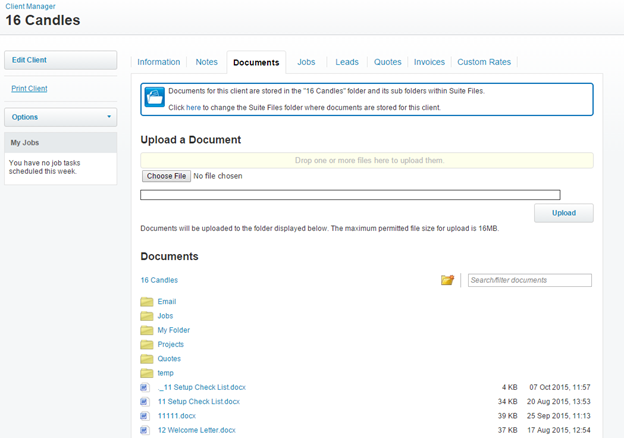 On the next screen, choose where to save your file by navigating through your folder structure, then press Save.